Boarding facilities open 365 days a year, where animals with special needs receive extra special care. Highly professional staff and spacious, comfortable facilities all lead to a wonderful holiday home for your animal family. 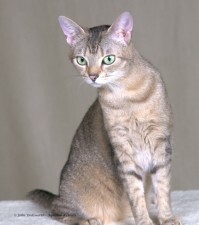 We cater for all breeds and sizes of dogs and cats, together with birds, rabbits and small mammals. If you have a more unusual pet please feel free to contact us and we can discuss your specific requirements. Your pets’ health, welfare and happiness are our priority. We also provide extra special care for pets that require a little more looking after – whether they have an ongoing medical condition, such as epilepsy or diabetes, are aged, deaf or blind, or have specific dietary requirements. The only exceptions are infectious or contagious animals. Where an animal requires specialist exercise due to disability, age or perhaps surgery, this is well within our remit. Some enjoy a chance to go around the agility course and others a gentle walk through the grounds. Nothing is too much trouble. We ensure that your family are happy and contented and enjoy their holiday, whether it be long or short term. Animals staying with us, either in quarantine or in boarding, go home with no psychological, emotional or health problems. Attention to detail specific to each animal provides care and affection on an individual basis. We encourage owners to visit us, without making an appointment, between 10.30am and 3.00pm daily. You can then see how the animals staying with us at any one time interact with our dedicated staff. 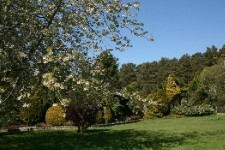 Aquithie Kennels & Cattery nestles on the edge of a pine forest amidst mature gardens. Our 40 acres of land are home to nature of every kind. Our daily walks can take us through our private wood where rabbits play undisturbed and the deer roam. Our lake is a nesting site for several species of birds. Payment is required prior to your pet leaving the kennels by either cash, credit or debit card. Due to the number of people who are now booking dates over and above their requirements, arrive at a later date/return earlier than booked, we now charge for the actual dates booked. Cancellations/amendments to bookings can be made up to 48 hours prior to the date of arrival. You are, of course, able to collect your pet whenever you wish. Our full terms and conditions are on display in the kennels.